PGA tour professional, DA Points, grew up on Pekin Country Club's hole number 17. D.A. Points was born and raised in Pekin, Illinois where he attended Pekin Community High School and led the Dragons to the Illinois High School Association state championship in 1994. He attended the University of Illinois at Urbana-Champaign and was a third team All-American member of the golf team. Points is a three-time Illinois Amateur champion and reached the quarterfinals of the 1996 U.S. Amateur at Pumpkin Ridge, where he lost to eventual champion Tiger Woods, 3 and 2. After making a 13-footer for par on the 72nd hole of the Houston Open for a one-stroke win over Billy Horschel and Henrik Stenson, Points is a double winner on the PGA Tour. There is nothing sweeter on the golf course than the sensation of validation. Congratulations, DA! 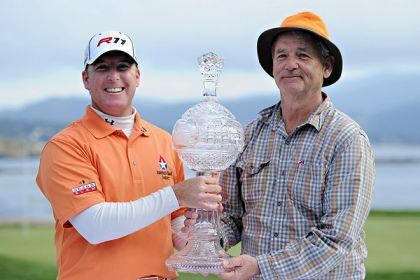 February 2011, DA Points teamed up with Bill Murray to win the Pebble Beach AT&T National Pro-Am. DA earned his first professional win teaming with fellow Illinoisan, Murray. 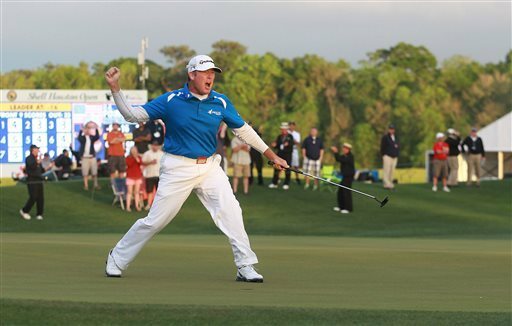 He finished two strokes ahead of American Hunter Mahan, aided by a brilliant approach shot on the par-five 14th, which he holed for an eagle. He also won the pro-am portion playing with amateur partner Bill Murray. The victory helped him finish 37th on the money list, his best career finish to date. Points led the 2012 Wells Fargo Championship by one stroke over Rory McIlroy and Rickie Fowler going into the final hole of the tournament. He bogeyed the hole and they went to a sudden death playoff. Fowler won the playoff on the first extra hole with a birdie.